These moist & tender buttermilk oatmeal muffins are transformed into a special treat with the addition of lemon juice & poppy seeds. While the oatmeal soaks in the buttermilk, combine the other dry & wet ingredients together. 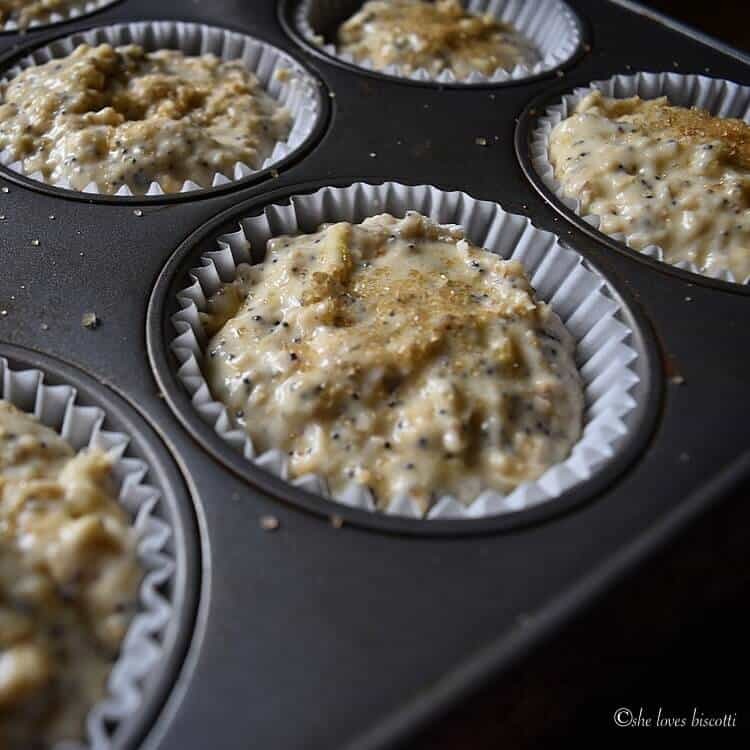 In just 30 minutes, you can be biting into warm Lemon Poppy Seed Buttermilk Oatmeal Muffins. The golden rule of making muffins is to combine the dry and wet ingredients in separate bowls. This time around, I did make two exceptions: I combined the buttermilk with the oats and I whisked the sugar with the egg. 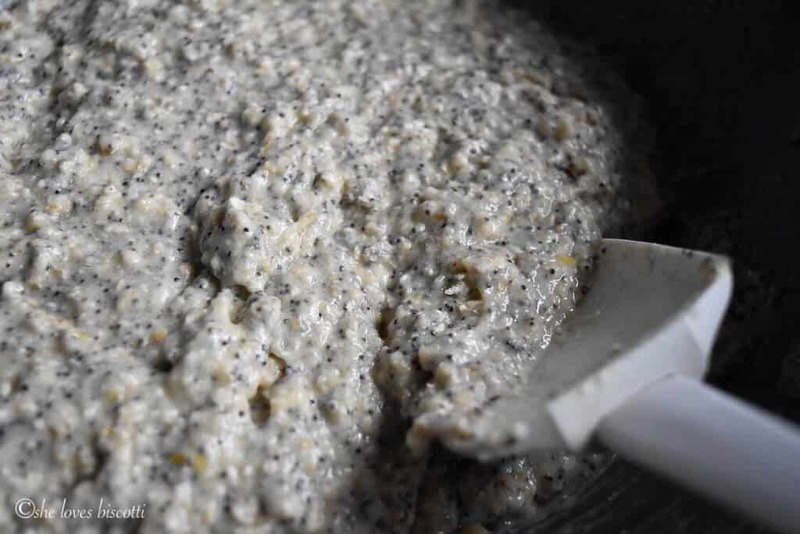 Once the buttermilk-oatmeal mixture has been properly combined with the wet ingredients, gently combine this wet mixture with the dry ingredients. The only thing left to do is to portion the batter in individual muffin cups… and wait 20 minutes for the baking to be completed. You will notice that there is just a sprinkle of coarse sugar over the tops of the individual muffins. This will contribute to a golden brown muffin and that crunchy top I previous mentioned. Please note that the sprinkling of coarse sugar is totally optional. 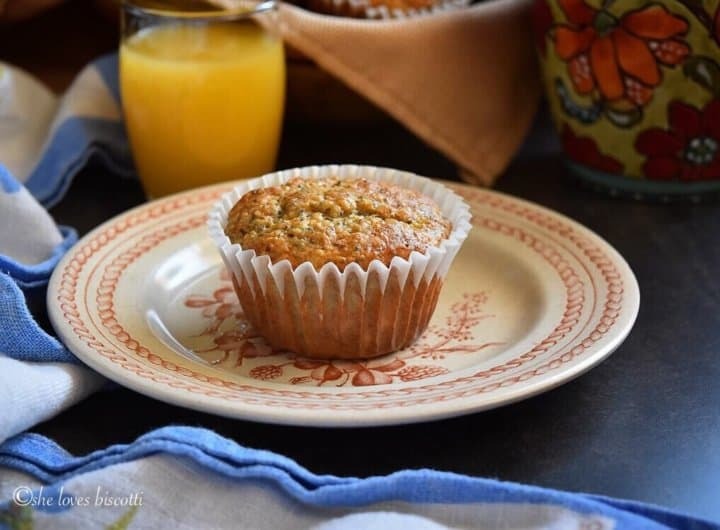 This past week, I was in the mood for the classic combination of lemons and poppy seeds and this recipe for these Lemon Poppy Seed Buttermilk Oatmeal Muffins delivered. Who can resist this moist and tender crumb? 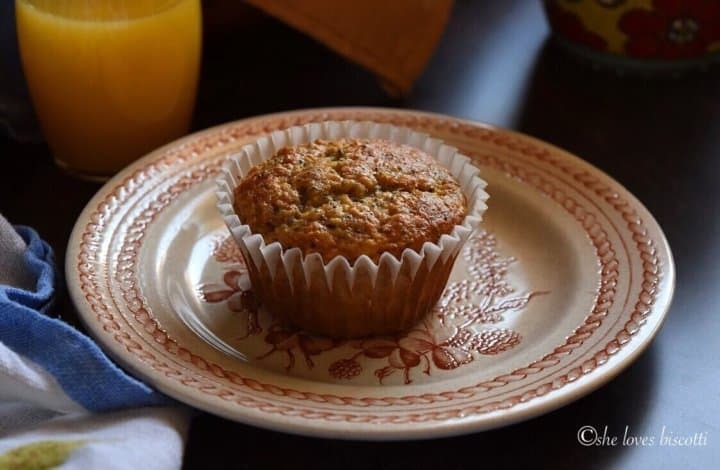 These Buttermilk Oatmeal Muffins were inspired by a recipe I found in “Sweet Home: Over 100 Heritage Desserts and Ideas for Preserving Family Recipes”. Any individual trying to preserve family recipes has my instant support. At the time I purchased this cookbook, the recipe entitled “Lisa’s Lemon Muffins” immediately caught my attention as I love all things lemons! (If you love lemons, you have to try this Lemon Loaf Recipe). I’ve had it bookmarked for a couple of years. The day I tried it, I knew I had to share it with all of you. To being with, I used buttermilk instead of regular milk; decreased the total amounts of both vegetable oil and sugar; replaced the granulated sugar with brown sugar; and replaced the glaze to top these Lemon Poppy Seed Buttermilk Oatmeal Muffins with about one tablespoon of natural turbinado sugar. That’s one tablespoon for the whole twelve muffins. 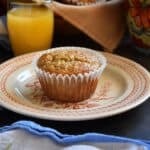 Hope you’ll enjoy this recipe for these Lemon Poppy Seed Buttermilk Oatmeal Muffins as much as I do! 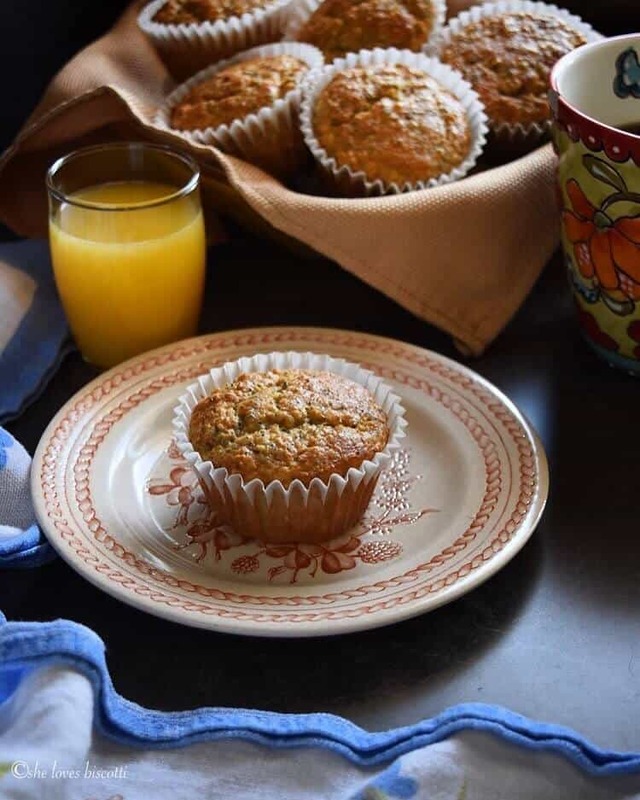 ★★★★★ If you have made this Buttermilk Oatmeal Muffins recipe, I would love to hear about it in the comments below and be sure to rate the recipe! In a large mixing bowl, combine flour, baking powder, baking soda, salt and poppy seeds. Whisk together. Set aside. In a separate bowl, whisk together the brown sugar and the egg. Whisk in the oil, vanilla extract, lemon juice, and lemon zest. Add the oat mixture to this wet mixture and mix well together. If desired, sprinkle tops with turbinado sugar. Bake for 18-21 minutes or until top bounces back when lightly touched. 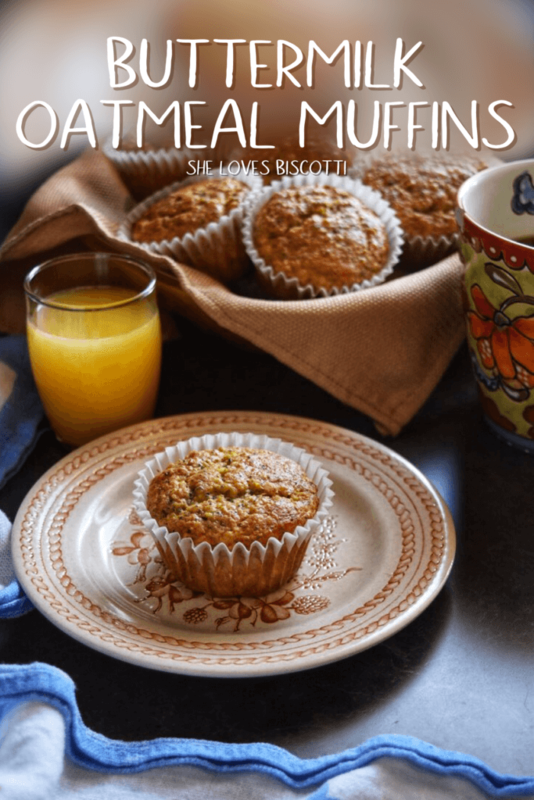 IF YOU ENJOYED THIS Buttermilk Oatmeal Muffins RECIPE, SAVE IT FOR LATER. Your muffins look wonderfully Maria! 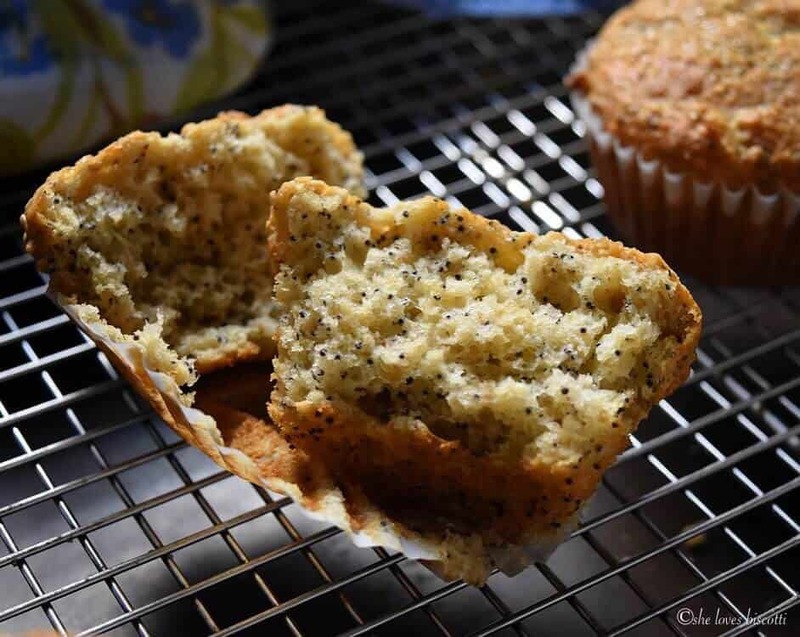 Homemade is always better then a boxed mixes, and I’ve found with my kitchen aid a muffin recipe takes no more then 15 minutes to put together. Looking forward to testing these out! They look so good! As I’m vegan and gluten intolerant, I’ m gonna try to substitute egg for chia seeds and add GF flour. I wish they will be as good as yours seem to be! I cross my fingers! This recipe sounded sooo good, but didn’t have any poppy seeds in house. So decided to put off till I picked some up. NOT! Decided to go ahead and make anyway without them.They are moist and lovely and will definitely get some poppy seeds so I can remake them next week. Love your recipes! Starting the day with a nice muffin – heaven. These sound ideal for the brunch crowd on a lazy Sunday. I’d love to have one of those muffins about now with my morning tea…they look good.